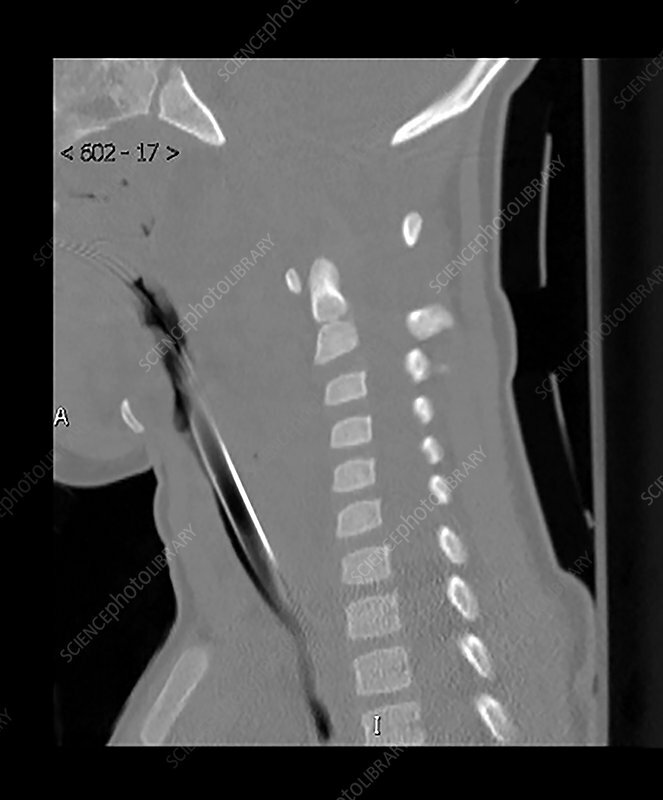 This sagittal (from the side) CT of the cervical spine (neck) shows a severe distraction injury at the craniocervical junction with marked widening of the distance between C1/2 and the skull base. This occurred secondary to a severe motor vehicle collision. This is associated with extensive ligamentous injury, additional soft tissue injury and a high rate of vascular injury.